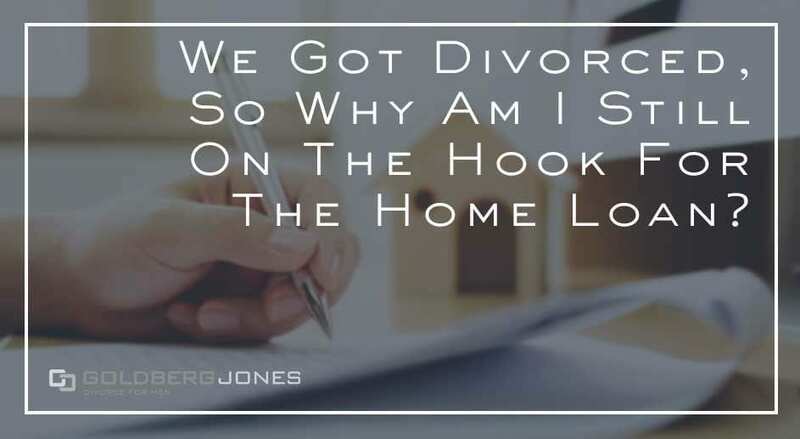 We Got Divorced, Why Am I Still On The Hook For The Home Loan? For most of us, buying a house is the biggest purchase we ever make. So when it comes to divorce, it’s no surprise it’s often one of the primary assets to divide. But how does divorce impact things like home loans? If you end your marriage, are you still on the hook for that debt? It’s important to know that though divorce changes almost every aspect of your life, it doesn’t automatically alter preexisting financial agreements. Things like a home loan. If you and your ex took on that debt, both of you remain responsible until you change that. Rick Jones, one of our founding partners, regularly appears on the Danny Bonaduce and Sarah Morning Show, where he answers family law questions from listeners. One recent caller wanted more information on this very subject. “I got divorced back in 2011. My ex-husband and I owned a home together, which we still do. He’s willing to release his interest to me so we did a quick claim deed. But apparently, all that did was release my interest, but not my responsibility on the loan. Rick: “Okay. For everybody else listening, that’s one of the concerns. Everybody thinks I can do this, or I can do that. I can save a couple thousand bucks, and then you have issues like this that come up all the time. Unfortunately, it puts me in the lousy spot of not giving you great news. “But, what that does mean, think about it from this perspective, the lender. The people that loaned you the money based on the credit, not just of him, but of you and him. “So they’re not willing to tear that up. Why would they walk away from that extra security? So that’s the way to think of it there. Danny: “I’d push for getting it sold. This is something that I did when my ex-wife ended up with the house to sell. I kept looking to see if she sold it even when it was no longer my business. Related Reading: Can I Move Out All His Stuff and Change the Locks?